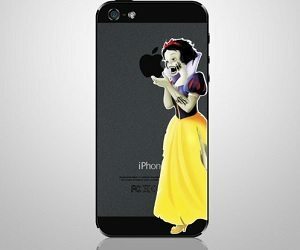 Tell the untold version of the classic fairy tale with this zombie Snow White iPhone decal! Its clever design looks as though Snow White has taken a bite from the apple logo, resulting in her becoming a zombie! Easy to apply and remove without any residue.